Sha'ar Hazahav or Bab El-Rahmeh. The gate was used by the Turkish through the period of the Muslims in the Seventh Century. There are two entrance ways to the gate: one is called ''The Gate of Repentance'' and one is called the ''Gate of Mercy''. 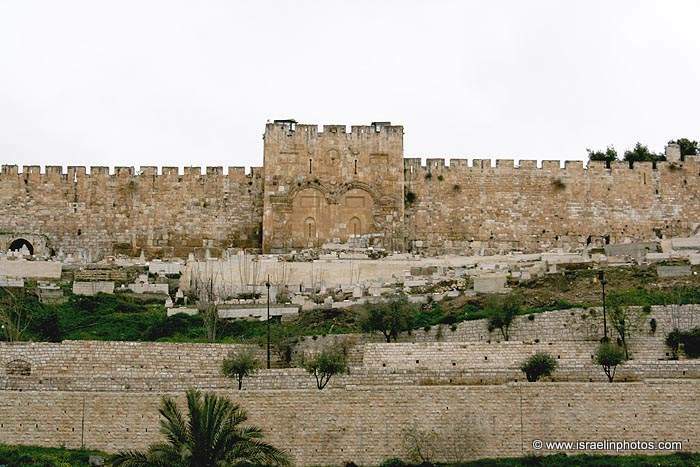 According to the Christians, Jesus walked through this gate to Jerusalem and therefore it is referred to as ''The Golden Gate''. 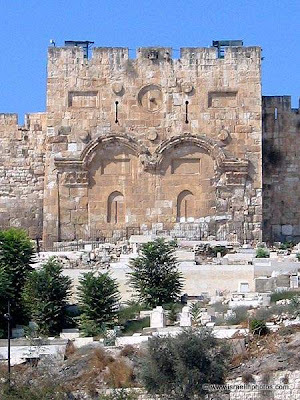 According to Jewish tradition, the Messiah will come through this gate. This is the reason that before the gate, a cemetery of Muslims exists, for it is forbidden for the high priest to go through a cemetery. The Christians believe that this is where the Byzantine Emperor, Hercules, came in after the defeat of the Muslims. 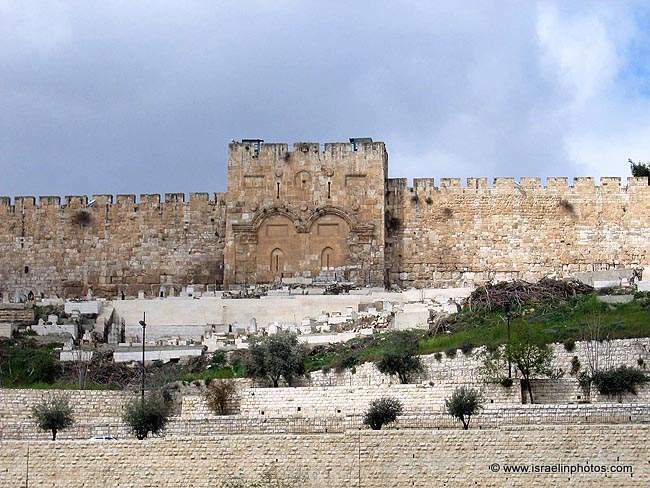 The Crusaders opened the gates just for religious purposes. At the end of the Crusader period the Muslims returned to rule Jerusalem and until today, ''The Golden Gate'' is blocked and there exists a big house of worship and an Islamic study hall. 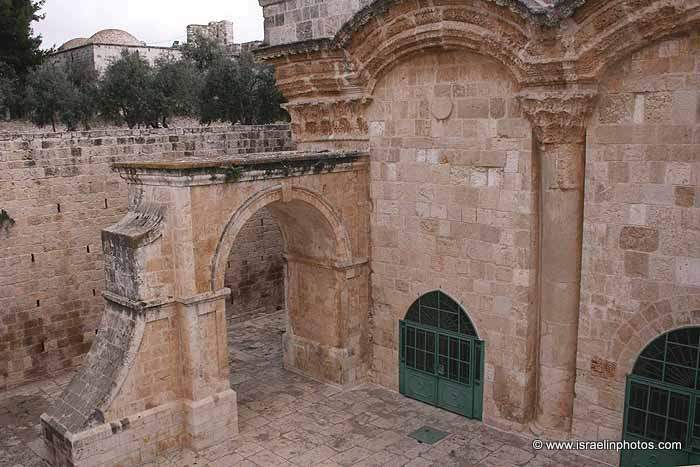 The only entrance is from the Temple Mount.